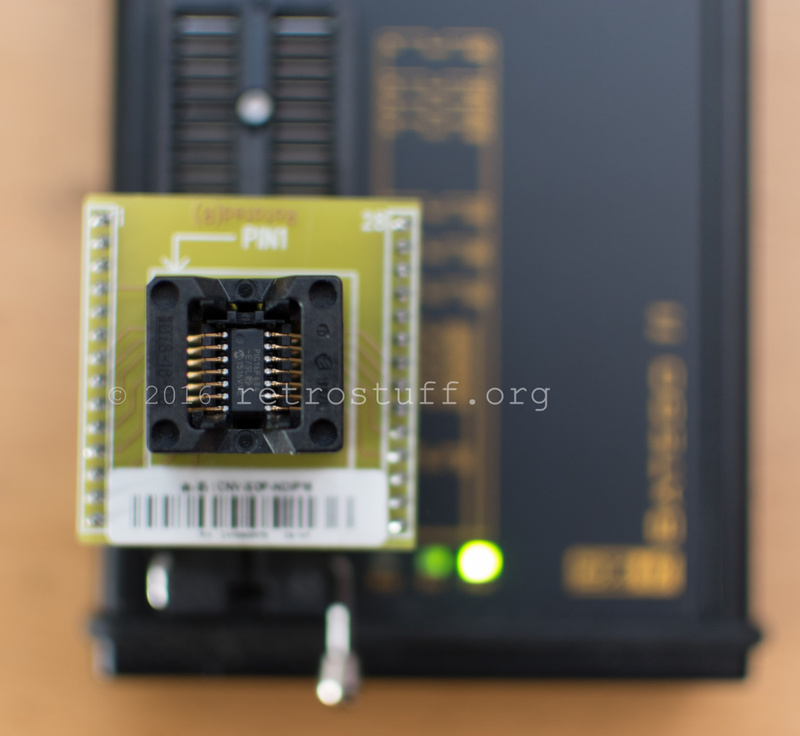 The desoldered PPU – this is a hard part as some of the pins are soldered on both sides. 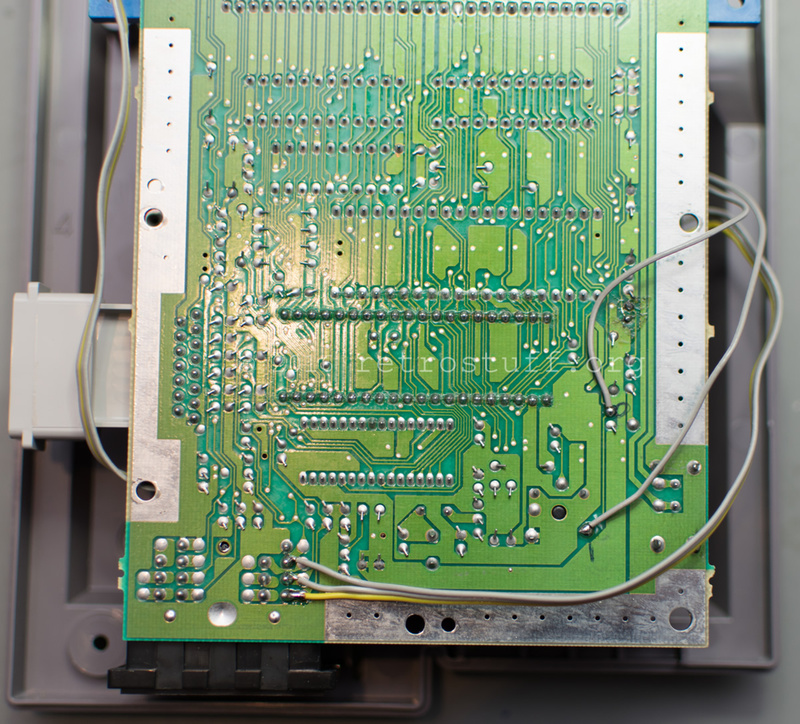 Even with a solder gun it takes quite some time. 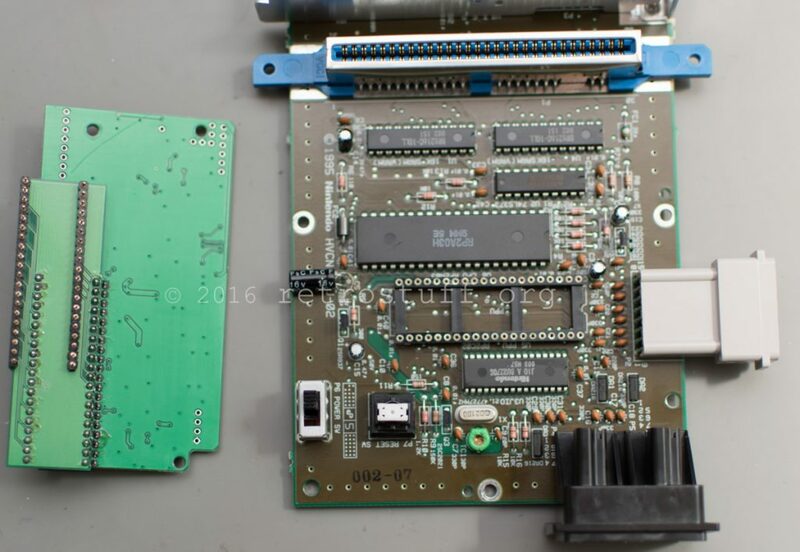 Also note the C5 capacitor, it will be in the way of the NESRGB, better replace it with a new one that has longer legs. 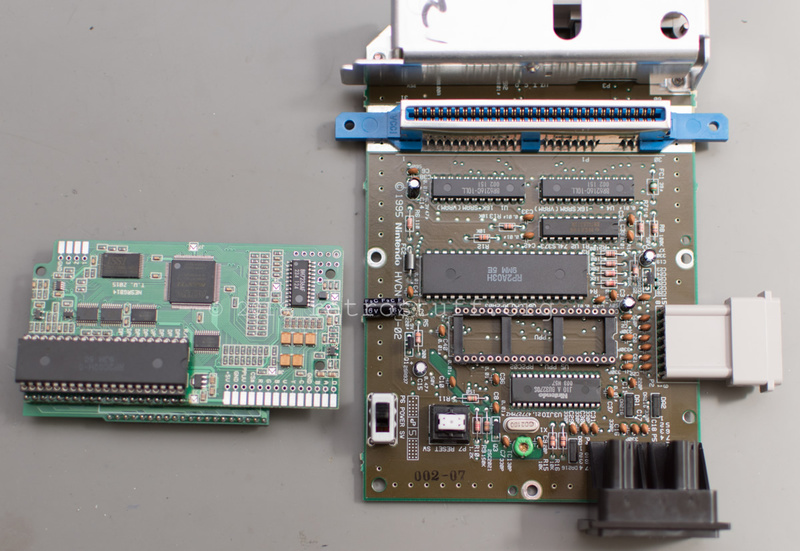 The fully assembled NESRGB kit, ready to be plugged into the new socket. 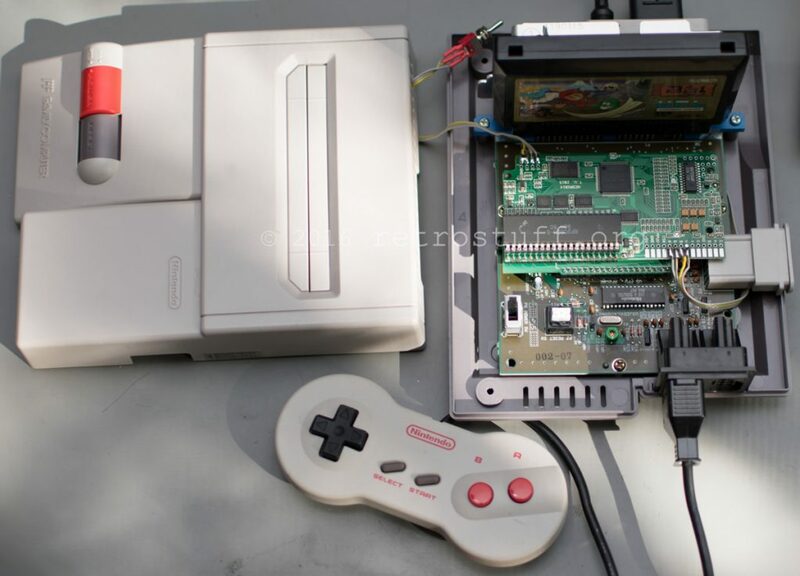 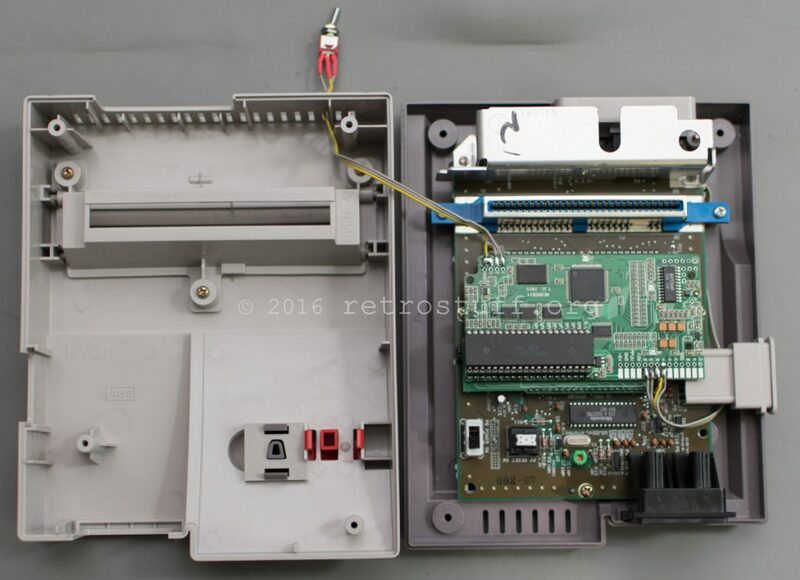 The C5 capacitor is lying right underneath the NESRGB. 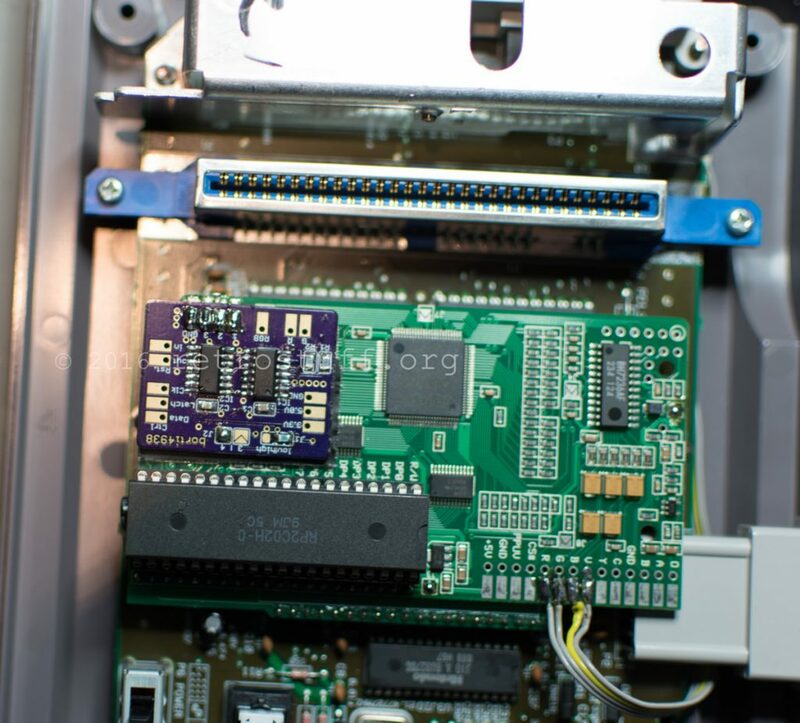 Add wires to the palette selection switch and to the AV port. 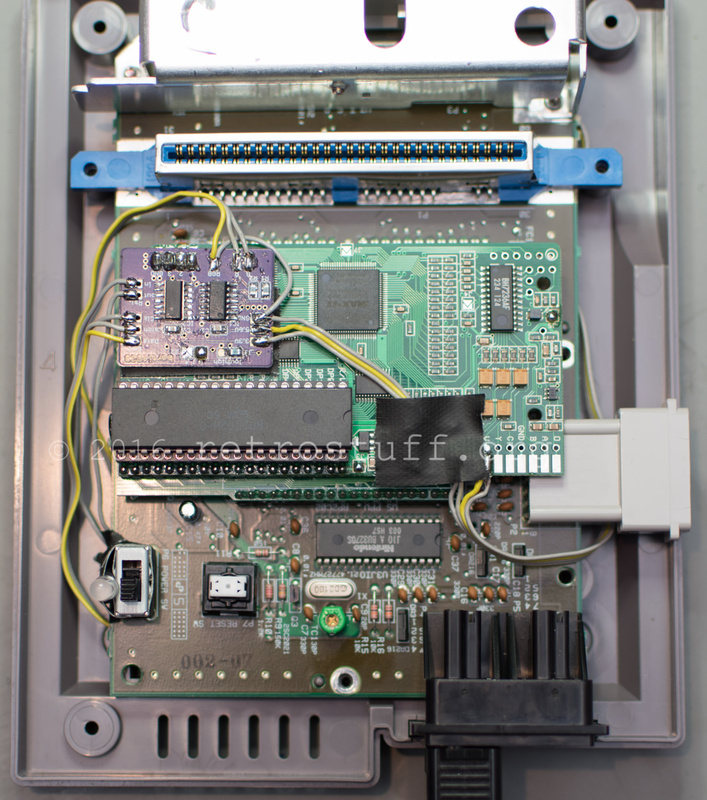 The first step of the modification is done, the palette will be selected with an external switch. 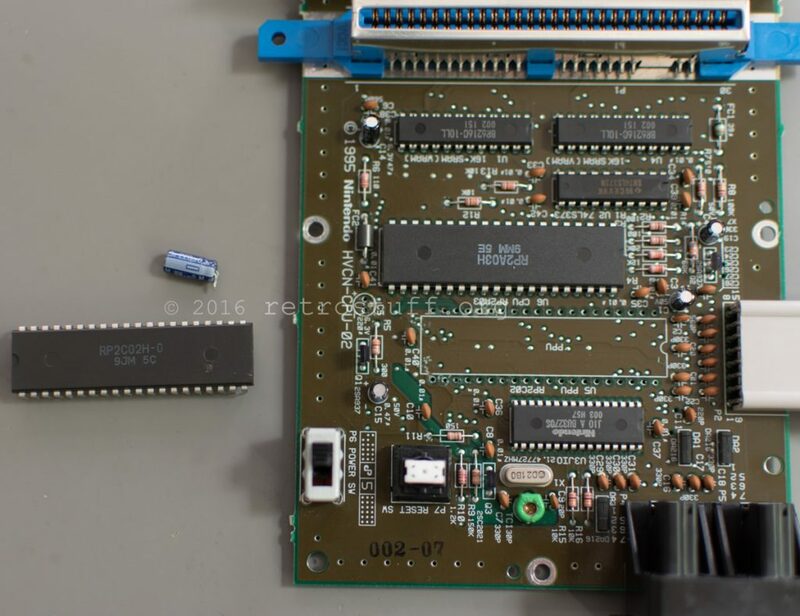 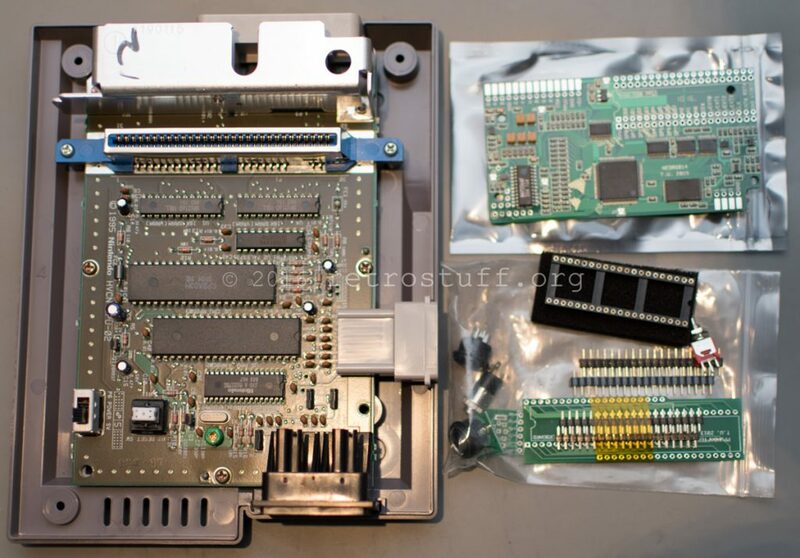 For the switchless part we’ll need a daughter board, the NESRGB-IGR by borti4938. 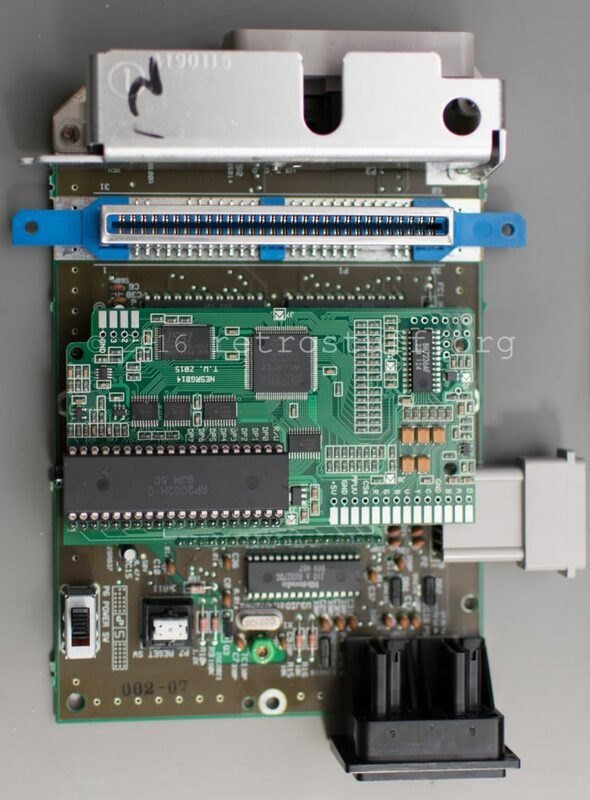 The PCB can be ordered at OSH Park, a list of parts can be found here. 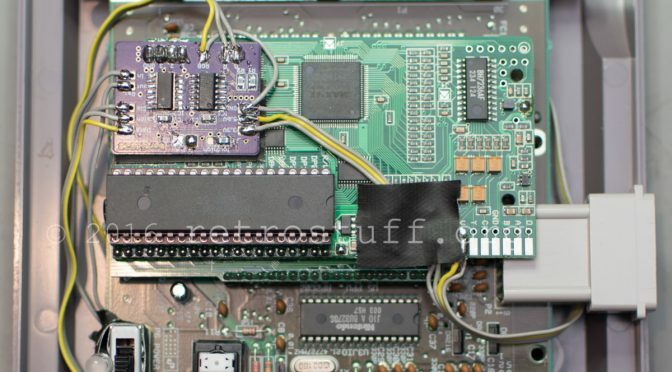 There are a couple of hex files for the PIC, the code explains the differences. 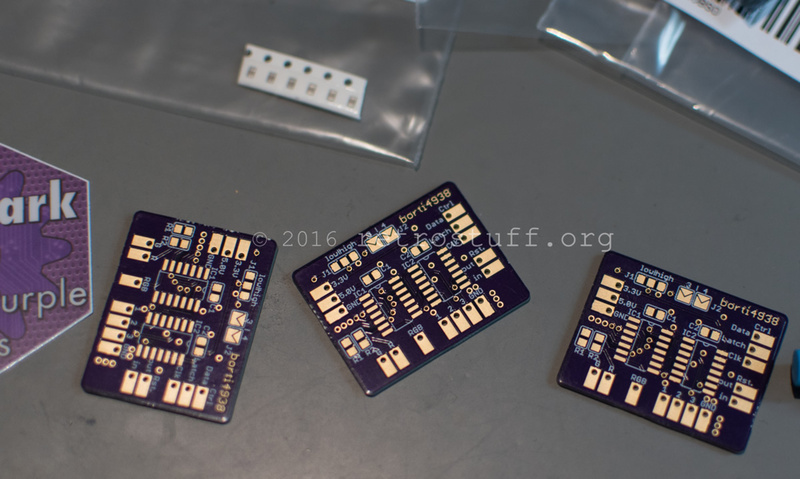 I went for the var_led variant. 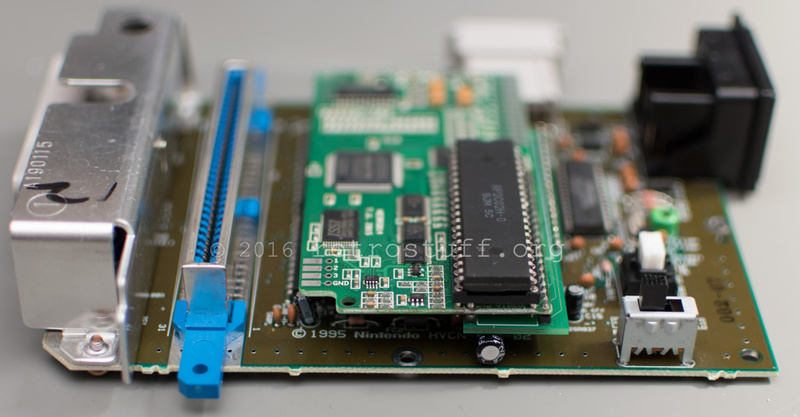 The daughter board can sit right on the NESRGB with the help of a pin header. 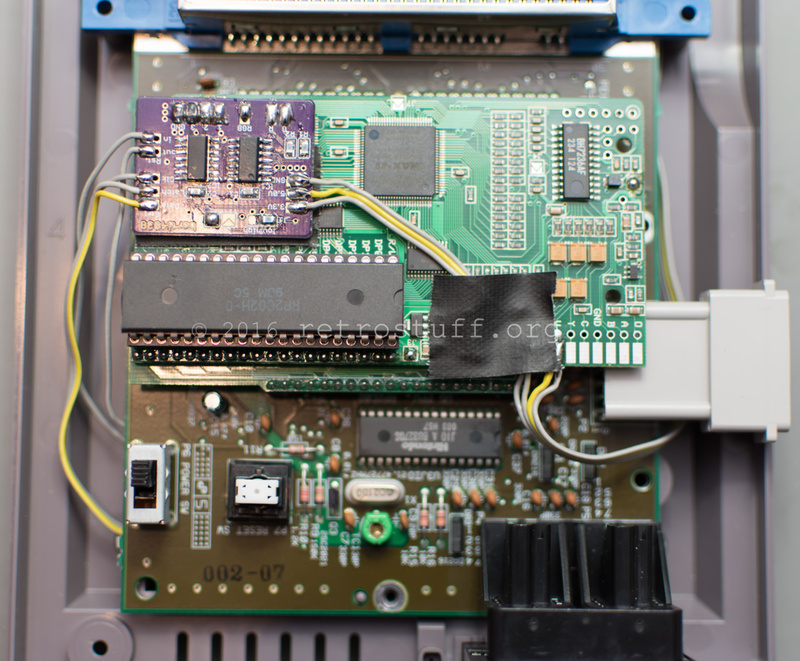 Some more wires to intercept the reset and controller signals. 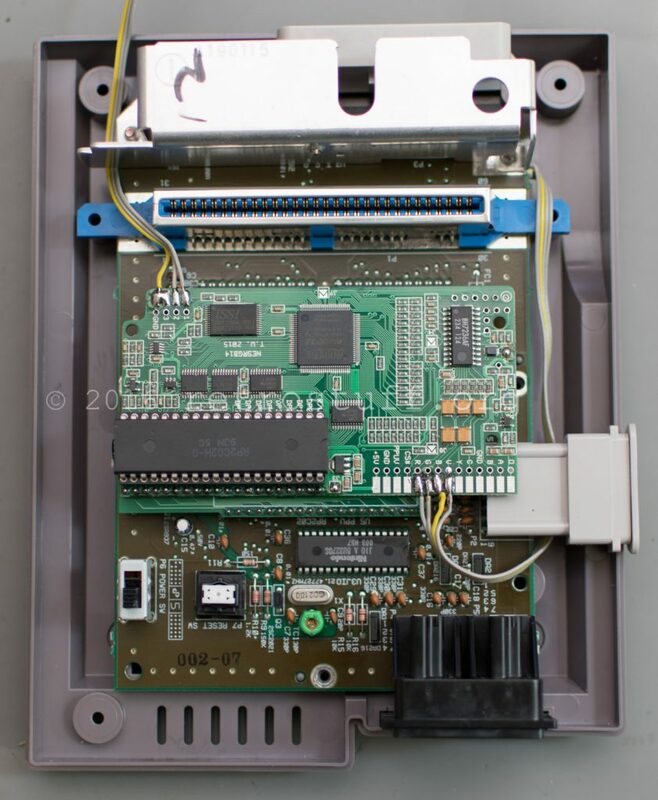 The LED can be placed next to the power switch. 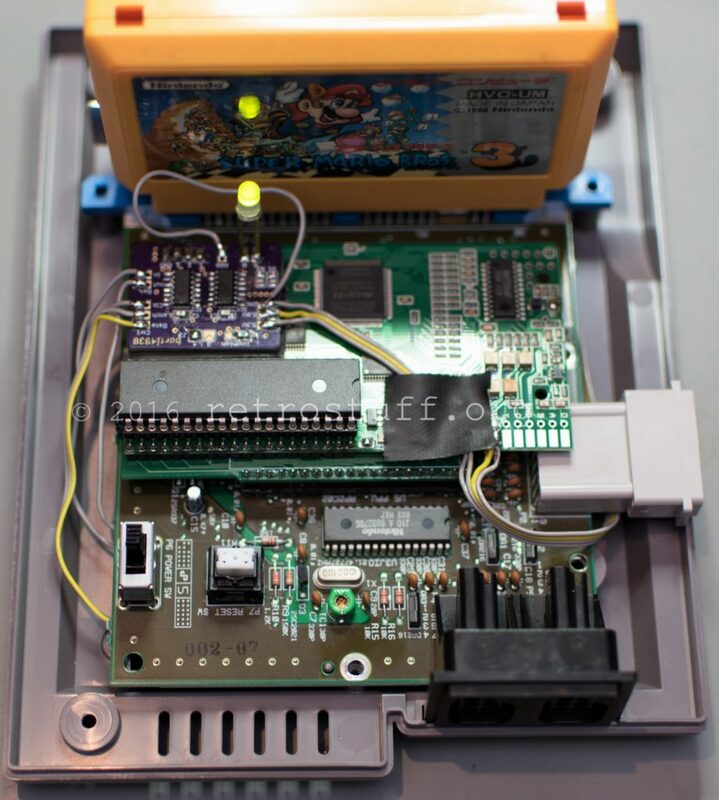 When the case is closed you will see a dim glow through the switch.